SMC EL has recently started business partnership with local-level distribution houses around the country to enhance rural and non-pharmacy coverage with household products. This is the first ever initiative taken for increasing market penetration of our household products. Distributorship agreements were signed by Sales Managers of 12 Area Offices and a total of 93 distributors have been appointed all over the country. According to Mr. Sayedur Rahman, General Manager, Sales & FP, SMC EL has earned revenue of Tk. 28 million through the distributors in initial ten days. 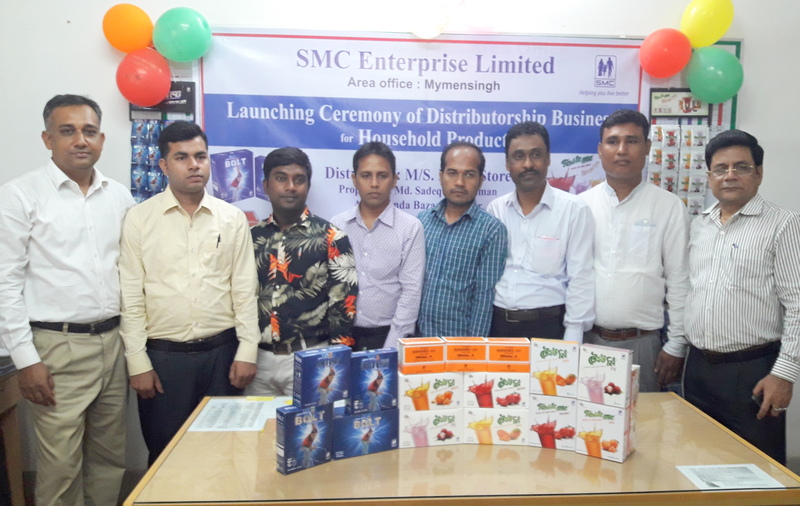 The products sold through them were Taste Me refreshing drink powder, BOLT glucose powder and ORSaline-N. SMC EL has also planned to include Joya sanitary napkin and upcoming baby diaper Smile in the basket of distributors from the beginning of June, 2018. Mr. Rahman expects to reach an additional 45,000 non-pharma outlets nationwide using this new and efficient distribution channel.